Gopal was a rich businessman in a town. 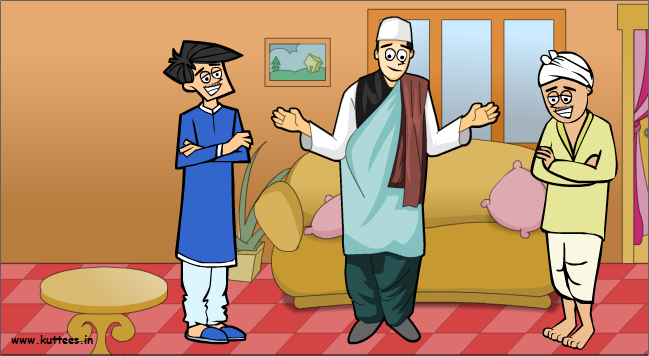 One day, two men from a nearby village called Ramu and Somu came to Gopal in search of some job. Gopal made them both as servants to take care of the works in his home. Days passed by, Ramu was very clever and would perfectly complete the tasks assigned for him. Somu was foolish and he was also very lazy at work. Gopal was very much impressed with the work of Ramu and gradually he started assigning important business related tasks for Ramu. Somu started feeling very jealous about this. One day he went to Gopal and said, "Sir, Ramu and I joined as servants on the same day, here. But you are very partial towards Ramu. That is why you are giving the important tasks to him. You should also give equally important tasks to me." Gopal understood the what Somu was thinking in his mind. He told Somu, "OK Somu, I will give you a task today. A new ship will arrive at our harbor today. You go and find out, if the ship had arrived." 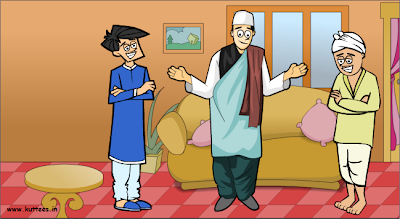 Somu was very happy that his master had given him some important business task. He ran towards the harbor and returned back in thirty minutes. 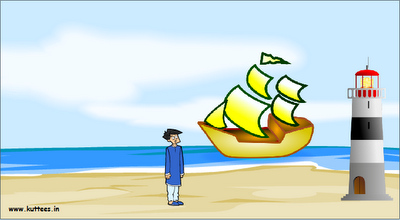 Then he told Gopal, "Yes Sir, the ship has reached the harbor". Gopal asked him, "Do you know the time at which the ship reached our town?" Ramu didn't know the answer for this. So again he ran towards the harbor and returned back after sometime. "Sir, the ship came to our town at seven in the morning", he said to his master. This time Gopal asked, "that is fine. What is there in that ship?" Again Somu didn't know what was inside the ship. So again, he ran towards the ship and came back after sometime. "Sir, they have brought coconut in the ship", he replied to his master. Then, Gopal called Ramu and gave him the same task to go and find out if the ship had arrived at the harbor. Ramu came back after sometime and said, "Yes Sir, the ship had reached our town at seven in the morning. They have carried coconuts from our neighboring county. The coconuts are in good condition and the rate is also very economical" to his master Gopal. Somu was looking at Ramu with surprise. Gopal smiled at Somu and said, "Look this is why, I give important business related works to Ramu and not because I am partial towards him." Somu realized his mistake.